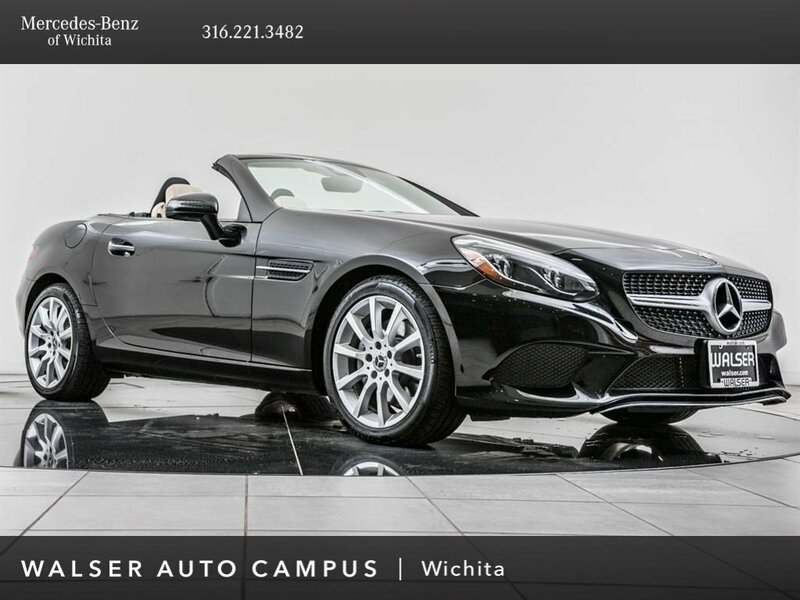 2017 Mercedes-Benz SLC 300 Convertible located at Mercedes-Benz of Wichita. 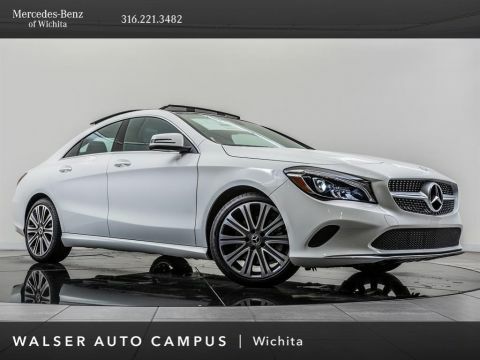 Original MSRP was $56,375. Black with a Sahara Beige interior. 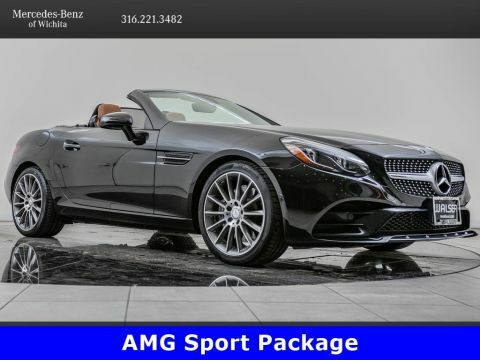 This 1-owner 2017 Mercedes-Benz SLC 300 Convertible is equipped with the Premium 2 package. 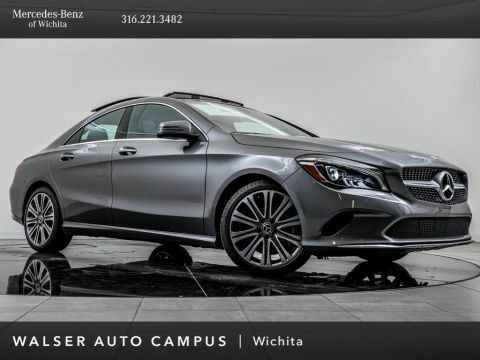 Package options and additional features include Navigation, AIRSCARF, harman/kardon audio, Blind spot assist, Apple CarPlay, 17 wheels, KEYLESS-GO, Rearview camera, Panorama roof, and SiriusXM radio (subscription required).